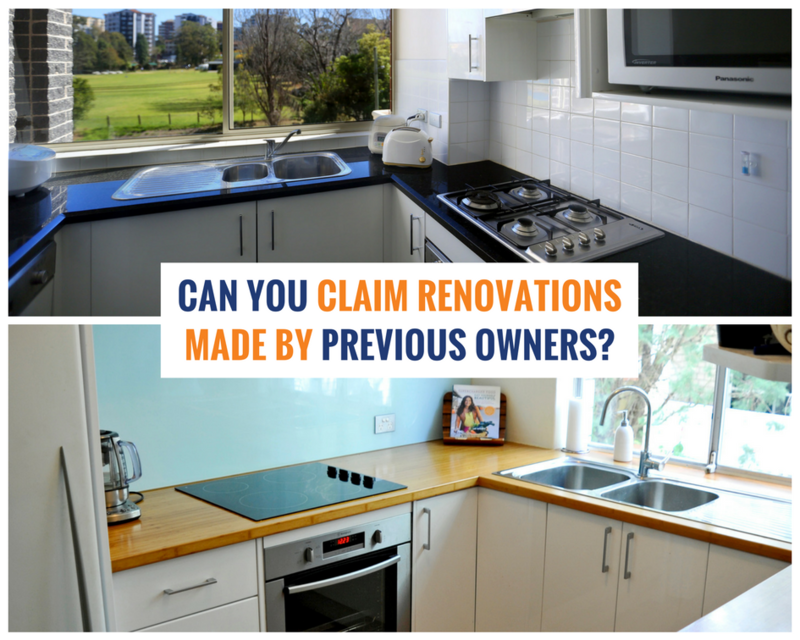 Can you claim renovations made by previous owners? home > Managing > Can you claim renovations made by previous owners? One common question asked by property investors is whether they can claim deductions for work that has been completed to the property by a previous owner. The rules on depreciation can be complicated for investors and for this reason, it is best to consult with a specialist Quantity Surveyor to obtain a comprehensive depreciation schedule. Let’s take a look at the existing rules which currently apply, the proposed new legislation changes and some of the property items that may hold hidden depreciable value for investors which they may currently be unaware of. Visit BMT Tax Depreciation to find out more. Many investors mistakenly believe that because of the date restrictions, if a property pre-dates 1987 they won’t be eligible to capital works deductions. However, this is often not the case, as many investment properties built prior to 1987 have undergone some form of renovation. Under existing legislation investors can claim plant and equipment items (which are the easily removable assets such as ovens, range hoods, smoke alarms and carpets) in any residential property no matter how old the building. For these items, the ATO sets an effective life over which deductions should be claimed. However, the rules may change under the federal government’s proposed new legislation and it is likely that any investor who exchanges contracts on a second-hand property after 7:30pm on the 9th of May 2017 will no longer be eligible to claim deductions on plant and equipment assets installed by a previous owner; only on those items they add to the property themselves. Contact 1300 728 726 or visit www.bmtqs.com.au for an Australia-wide service.